We just published our TX Text Control / Infragistics ribbon demo on labs.textcontrol.com. The demo has been published using ClickOnce and can be started directly from our demo website. 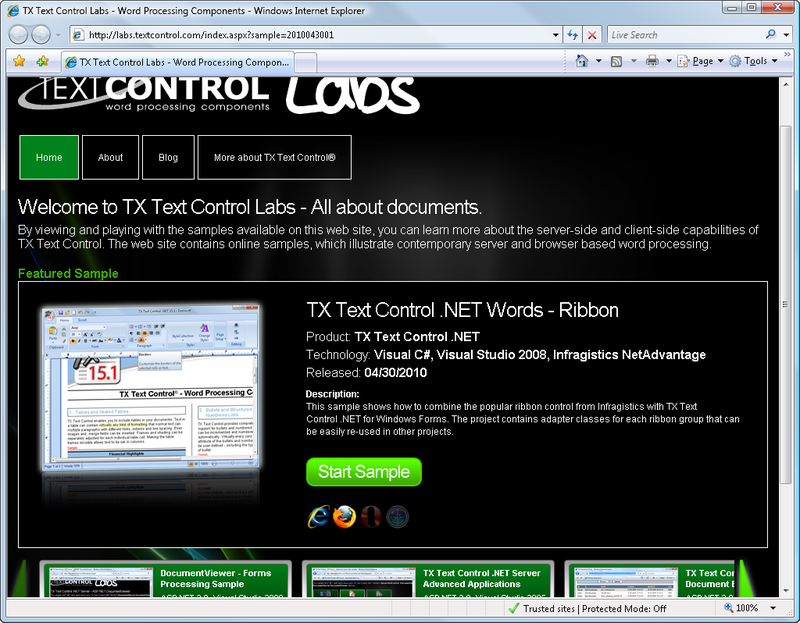 An installation of the TX Text Control or Infragistics trial version is not required to view this implementation.